This student submission comes from my former student Samantha Offutt. Her topic, from Geometry: the distance formula. I found this awesome idea to help students see the distance formula in a real world view. Students often complain that they will never use math outside of classrooms, or that it’s pointless to learn math because they want to be something completely unrelated to math (i.e. Professional Body Piercer). However, most people will take a trip, at least once in their life. That’s why I find this project to be beneficial. Students have the freedom to create a trip catered to their wants and desires, instead of doing countless problems and worksheets to drill the formula. They get the time to learn about different places and still apply mathematical concepts. Because the distance formula is a variation of Pythagorean Theorem, it was quite funny to come across a scene from The Wizard of Oz. In this scene, the wizard was giving the scarecrow his Th.D, his PHD in Thinkology. Immediately after receiving this, the scarecrow recites his version of the Pythagorean Theorem. This statement works if two sides of the triangle are 1 and the last angle is the sqrt(2). He states it like he’s talking about the distance formula, using square roots, but perhaps, make it a right triangle, and specify the remaining side is opposite the right angle and you can have your brain, Scarecrow! But then again, this is Dorothy’s dream, so perhaps it’s Dorothy who doesn’t know the proper way to state such a theorem! The distance formula is motivated by the Pythagorean Theorem, which it’s name alone brings Pythagoras to light. Even though not many people know whether or not Pythagoras actually proved it or whether he gave it it’s definitive form, I know not. But, Pythagoras was a great philosopher and Mathematician (Mastin). Euclid, did write proofs for the Pythagorean Theorem (I.47). In the books, Geometry: Euclid and Beyond by Robin Hartshorne, and Euclid’s Elements expansion of this concept is given. From the proof of Pythagorean Theorem, to the distance formula used to model axioms (I1)-(I3), (B1)-(B4), and (C1)-(C3) and define congruence for line segments (Hartshorne 87). Clark, Jeff. “Jeff Clark’s Math in the Movies (Wizard of OZ).” YouTube. YouTube, 26 Jan. 2013. Web. 09 Oct. 2015. <https://www.youtube.com/watch?v=jbvip1Ot6jQ&gt;. Fields. “Travel the US, with the Distance Formula!” LiveLoveLaughTeach. N.p., 20 Jan. 2012. Web. 09 Oct. 2015. <https://livelovelaughteach.wordpress.com/2012/01/20/travel-the-us/&gt;. Hartshorne, Robin. Geometry: Euclid and beyond. New York: Springer, 2000. Print. Khan, Sal. “Introduction to the Coordinate Plane.” Khan Academy. N.p., 12 Feb. 2012. Web. 09 Oct. 2015. <https://www.khanacademy.org/math/algebra/introduction-to-algebra/overview_hist_alg/v/descartes-and-cartesian-coordinates&gt;. Mastin, Luke. “Pythagoras – Greek Mathematics – The Story of Mathematics.” Pythagoras – Greek Mathematics – The Story of Mathematics. N.p., 2010. Web. 09 Oct. 2015. <http://www.storyofmathematics.com/greek_pythagoras.html&gt;. “Proposition 47.” Euclid’s Elements, Book I,. N.p., n.d. Web. 09 Oct. 2015. <http://www.clarku.edu/~djoyce/elements/bookI/propI47.html&gt;. This student submission comes from my former student Tiffany Jones. Her topic, from Geometry: recognizing equivalent statements. The topic of recognizing equivalent statements appears in pop culture in Lewis Carroll’s “Alice’s Adventures in Wonderland”. English mathematician Reverend Charles Lutwidge Dodgson published the work in 1865 under the pseudonym Lewis Carroll. ‘I do,’ Alice hastily replied; ‘at least—at least I mean what I say—that’s the same thing, you know. ”Not the same thing a bit!’ said the Hatter. ‘You might just as well say that “I see what I eat” is the same thing as “I eat what I see”! ”You might just as well say,’ added the March Hare, ‘that “I like what I get” is the same thing as “I get what I like”! ”You might just as well say,’ added the Dormouse, who seemed to be talking in his sleep, ‘that “I breathe when I sleep” is the same thing as “I sleep when I breathe”! ”It IS the same thing with you,’ said the Hatter, and here the conversation dropped, and the party sat silent for a minute, while Alice thought over all she could remember about ravens and writing–desks, which wasn’t much. The lesson on logical statements and truth-values would start with a reading of this section of text or viewing of a clip that keeps the original text. Take a simple statement and write its converse, inverse, and contrapositive. For example, “I like what I get” becomes “I get what I like”, “I do not like what I do not get”, and “I do not get what I do not like”, respectively. Discuss the truth-values of each of the statements show that the original and contrapositive are equivalent and that the converse and inverse are equivalent, to help the students see patterns when rewriting a statement. Then the students will complete a worksheet by MathBits.com to ensure that they understand the process with simple English sentences and to introduce them to the idea with simple mathematical statements. The worksheet includes a portion of the text above for the students’ reference. The worksheet has the students take two simple sentence and write them in the form of “if…, then..”, then the students are to write their converse, inverse, and contrapositive. Next, the students compare the truth-values of each statement. Finally, the students are given two mathematical statements and are asked to determine the truth-values. Recognizing equivalent statements appears in analysis courses and courses which proofs are often used. Being able to recognize equivalent statements adds another tool to the the tool box of proof writing. With Proof writing, sometimes the contrapositive form of the statement is easier to prove than the original statement itself. For example, in Math 4050 Advanced Study of Secondary Mathematics Curriculum, the proof of the following theorem is easier to prove by contrapositive than just straight on. If a prime p divides m*n with m and n composite, then p divides m or p divides n.
The contrapositive, if p does not divide m and p does not divide n with p, m, and n the same as before, then p does not divide m*n, follows easily (with a little clairvoyance) from another theorem for the class. Carroll, Lewis. Alice’s Adventures in Wonderland. Lit2Go Edition. 1865. Web. <http://etc.usf.edu/lit2go/1/alices-adventures-in-wonderland/&gt;. October 1, 2015. Carroll, Lewis. “Chapter VII: A Mad Tea-Party.” Alice’s Adventures in Wonderland. Lit2Go Edition. 1865. Web. <http://etc.usf.edu/lit2go/1/alices-adventures-in-wonderland/17/chapter-vii-a-mad-tea-party/&gt;. October 1, 2015. This student submission comes from my former student Natalie Moore. Her topic, from Geometry: finding the volume and surface area of a pyramid or cone. A great thing that first came to my mind was using manipulatives, especially for finding surface area. I would prefer to use legos as a manipulative, but that will not work very well when trying to find surface area of a pyramid or a cone. Using the traditional math manipulatives will work fine for these types of shapes. I always loved using manipulatives as a student. However, we did not use them at all, from what I can remember, in high school and most of middle school. It would be great to bring more manipulative use into the high school classrooms. It makes learning more fun for the students, and it also helps the student with retaining the information better. In regards to finding the volume of a pyramid or cone with manipulatives, it will be a little more of a challenge. Instead of maybe using manipulatives though, I was thinking about a different fun activity. The activity I have in mind will not necessarily tell us the exact volume of these shapes, but it will give the students an idea of what volume is. That way, once students have an understanding of volume, once they have a formula, it will be easier for them to use it and it apply it to a problem. The activity I have in mind is taking large versions of these shapes and filling them up with a different object and counting how many of that object can fit into different sizes of the shapes. For example, I would use a camping tent to represent a pyramid. I would have two or three different sizes of tents. I would then see how many students can fit in each sized tent. That way, they can see X amount of students can fit in one tent while Y amount of students fit in a different sized tent. For cones, I would do the same type of thing but the object I would use would be an ice cream cone and see how many scoops can fit into various sizes. Surface area, mainly just area, and volume show up all the time in other math classes, especially calculus based courses. In these types of higher level thinking courses, students will not necessarily have to find the area or volume of shapes, but if a student has to answer a word problem involving area and/or volume and they do not of a good grasp on these concepts, it will be harder for them to solve the word problem. There are times too where the student will have to solve the area or volume of a specific shape, and it will not always be something as simple as a square or rectangle. We need to make sure as teachers that we are doing all we can to instill these concepts into the students since they will need to know them for classes later on. Before students will learn about the volume and surface area of pyramids and cones, they will typically learn about finding the area of rectangles and squares since those are the easiest to work with. Students are taught pretty early on how to find area of squares, rectangles, triangles, and circles. As they get older, they will learn about other shapes as well, especially 3-d shapes. After students have the basics of area down, then they will begin to learn about surface area and volume of these 3-d shapes. This is taking what they already know and taking it a step further to deepen their understanding. This student submission comes from my former student Loc Nguyen. His topic, from Geometry: defining sine, cosine and tangent in a right triangle. There are many real world applications that involve in this topic and I will incorporate some problems in real life to engage the students. Suppose I have a classroom that has the shape of rectangular prism. I will begin my lesson by challenging the students to find the height of the classroom and of course I will award them with something cool. I believe this will ignite students’ curiosity and excitement to participate into the problem. In the process of finding the height, I will gradually introduce the concept of right triangle trigonometry. The students will learn the relationship of ratios of the sides in the triangle. Eventually, the students will realize that they need this concept for finding the height of the classroom. I will pose some guiding questions to drive them toward the solution. Such questions could be: what can I measure? Can we measure the angle from our eyes to the opposite corner of the ceiling point? What formula will help me to find the height? Knowing how to compute sine, cosine or tangent in the right triangle will help students a lot when they get to higher level math or other science class, especially Physics. In higher level math, students will always have the chance to encounter this concept. For example, in Pre-Calculus, the students will likely learn about polar system. This requires students to have the strong fundamental understandings of sine, cosine and tangent in a right triangle. Students will be asked to convert from the Cartesian system to polar system, or vice versa. If they do not grasp the ideas of this topic, they will eventually encounter huge obstacles in future. In science, especially physics, the students will learn a lot about the motions of an objects. This will involve concepts of force, velocity, speed, momentum. The students will need to understand the how to compute sine, cosine and tangent in the right triangle so that they can easily know how to approach the problems in physics. 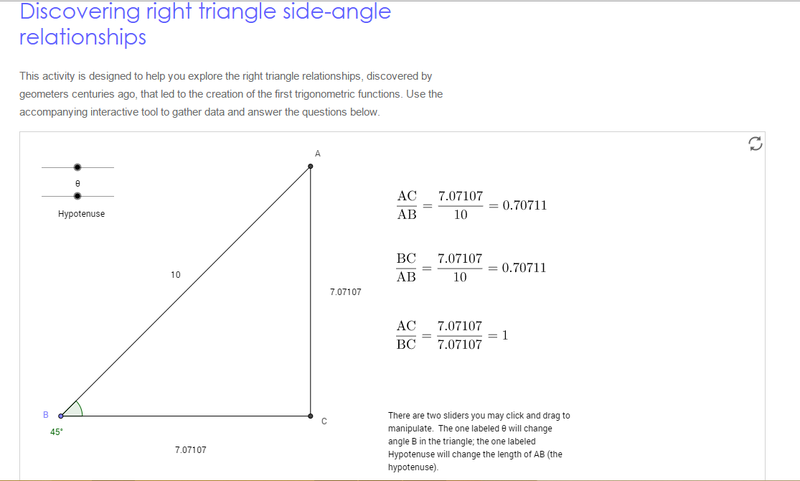 This website, https://www.geogebra.org/material/simple/id/48148 , can be a great tool for the students to understand the relationships of the sides in the right triangle. The website creates an activity for students to explore the ratios of the sides such as AC/BC, AC/AB, and BC/AB. The students will observe the changes of the ratios based on the changes of theta and side BC which is the hypotenuse. At this point, the students will be introduced the name of each side of the right triangle which corresponds to theta such as opposite, adjacent and hypotenuse. This activity allows the students to visualize what happens to the triangle when we change the angle or its side lengths. The students will then explore the activity to find interesting facts about the side ratios. I will pose some questions to help the students understand the relationships of side ratios. Such questions could be: What type of triangle is it? Tell me how the triangle changes as we change the hypotenuse or angle. 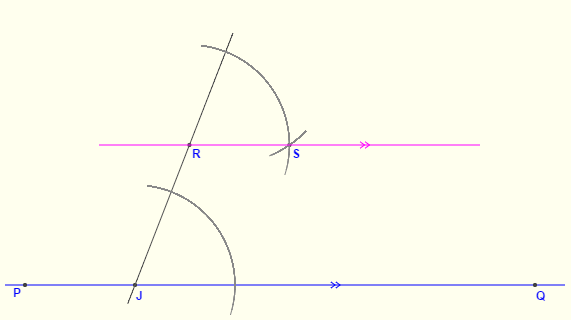 If we know one side length and the angle, how can we find the other side lengths? Those questions allow me to introduce the terms sine, cosine, and tangent in the right triangle. 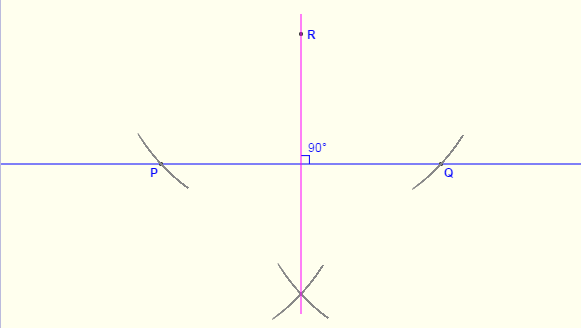 A Point, line and plane are basic concepts for geometry. Without these concepts, students cannot go far in geometry at all. If we plot two dots and connect them, then it becomes a line. This simple concept is very important, and I will make sure my students understand the concepts of point, line and plane. Although they are simple concepts, they are being used a lot in math. Triangle, square, and rectangle cannot be learned effectively without these concepts. Also, it affects higher math other than geometry. Calculus, and one of the most complicated math topology cannot even start without these concepts. Moreover, the idea of dimensions came from these basic concepts. Therefore, it would worth teaching these simple concepts for one entire class period. In ancient Korea (About 1,200 B.C. ), there was one argument between two high officers. The topic was, “does point come first, or line?”. Officer A ( Yeong-An Choi) argued “It is very simple concept that is not even worth to argue. If we plot a lot of dots, they become a line, and if we do the same thing with line, then they become a plane. So point is the smallest thing which means point comes first”. Officer B ( Sae-Yong Oh) countered that, “No, point itself is meaningless. In fact point itself is plane. Point is made of a lot of lines and lines make plane. Points are just imaginary thing to help make sense of line. So, line comes first.” The argument became too serious due to their pride, so they decided to take one’s life if the other was wrong. Both of them agreed to ask this question to the famous astronomy teacher in the capital. The problem was that the teacher did not really know the answer, but officer B’s theory made some what sense to him so he said Officer B is right, and immediately officer B Killed officer A.
I prefer to use technology because I believe using technology may minimize students from becoming bored. As always, I checked Khan Academy and found one good explanation about the basic language of geometry (except the teacher stammered too much….). Also, for the engagement part, I would like to show one part of movie “Interstellar” to show how point, line and plane are interesting. (The reason that I chose math as my major was because of this concept. Before I knew this, I never passed math in middle school, and I am sure, one day, I will meet students just like me. The second reference shows the brief idea that brought me to the math field.) I would like to use more technology if possible, but showing some scenes of scientific movies is the most effective way. I am not sure if it would fit to technology part, but I would like to distribute some mini white boards so that students can actually determine what happens if they connect two points. It is very easy to erase their mistakes so they will have fun with it as I did in middle school. This student submission comes from my former student Joe Wood. His topic, from Geometry: finding the area of a circle. C1. How has this topic appeared in pop culture (movies, TV, current music, video games, etc.)? A great activity I found on the Mathbits website tackles both questions C1 and A1. The two-page worksheet below is based off a scene from the movie Castaway. In the scene, Tom Hanks calculates the area of a circle to figure out the likelihood of his rescue. He then compares his calculated area to the area of Texas (which for young students who are all about Texas like I was, this is another attention getter on its own). I would show the clip (having sent a permission slip home since Tom Hanks is shirtless) which can be seen at https://www.youtube.com/watch?v=y89VE9_2Cig so that students can have a good laugh and also understand the scene described on the worksheet. While most, if not all students will never be stranded on a deserted island, this would be an interesting real world problem for the “survivalist” kid in the class. 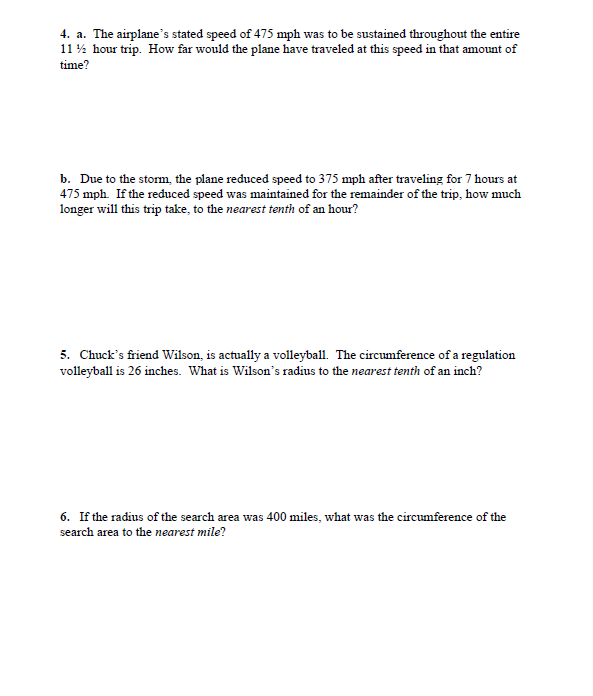 The worksheet is great because it starts off asking if Tom’s calculations were even correct. It then has several example problems for area of a circle so they can practice, but it also brings in linear speed calculations, and a circumference problem which is great review (and a good warm up if you were maybe moving into angular speed later). 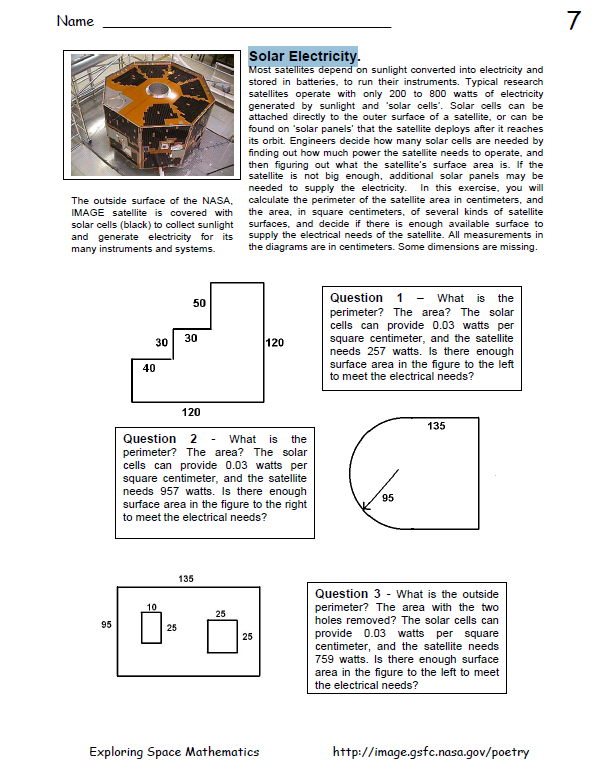 Another interesting real world problem can be found at http://spacemath.gsfc.nasa.gov/geometry.html. The problem deals with solar energy on satellites (or solar panels in general). It talks about how much energy is needed to operate a satellite, tells the student how much energy is provided by solar cells per square centimeter, gives them different shaped solar panels, and ask is the solar panel can produce enough energy. This specific worksheet only uses half of a circle on one problem, so it should be revised by the teacher to include more circles; however, once again, I think keeping all the different shapes is a great review for students. I also think having the semicircular shaped panel is a great idea to keep the students on their toes. If one stereotype can be made about middle/high school students (especially the boys), it is that they love to eat! And, what do they like to eat? PIZZA! There are several ways this next idea could be carried out (pun intended), but for the purposes of this assignment I will call it a class project that ends in a pizza party. The idea is that each pair of student will be assigned a pizza restaurant in the area, and they will do a presentation on why we should order pizza from this pizza place specifically. They will have find all the pizza sizes (small, medium, large, etc.) , their prices, their diameters, the areas of each pizza, the price per square inch of each of the pizzas, and the best buy. They can talk about anything else they want (such as quality vs price or customer service or whatever) so long as they are trying to sway the class on why the pizza should be purchased from this specific place. Finally, the students will need to provide some kind of proof of their work (menus, calculations, etc) in an organized fashion: PowerPoint, poster board, or some other method. After the project is complete, the teacher can select the place to buy from, or hold it to a class vote, and have a pizza party during lunch hour or after school or in class. This student submission comes from my former student Irene Ogeto. Her topic, from Geometry: defining the terms perpendicular and parallel. In order to explore the terms perpendicular and parallel the students could create their own parallel and perpendicular lines using a compass and ruler. I would provide compasses and rulers for the class and we would do the activity together. I would walk the students through the step-by-step process. This activity would allow the students to not only see parallel and perpendicular lines but to actually create them. We could explore different methods of constructing parallel lines about a given point: Angle copy method, translated triangle method, rhombus method. Likewise, we could explore different methods of constructing perpendicular lines: perpendicular from a line through a point, perpendicular from a line to a point and perpendicular at the endpoint of a ray. If we have time we could also go in depth and prove why these constructions work. 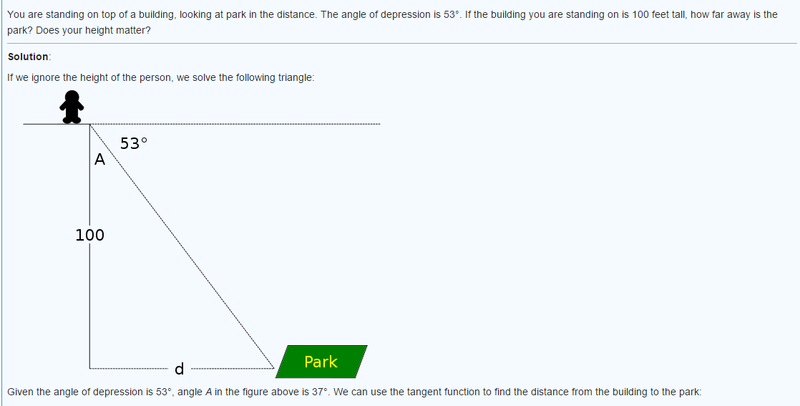 In addition, the students can use Geometers Sketchpad to do the constructions as well. The topic of parallel and perpendicular lines has appeared in the “real” portion of the Cyberchase show on television. In this episode, Harry is meeting his cousin to get tickets to go to a game. Harry and his cousin are both on the same street but have trouble meeting up. Harry decides it would be best to meet his cousin where Amsterdam Ave intersects with 79th street. This video could be shown at the beginning of a lesson as an engage when defining the terms parallel and perpendicular. Parallel and perpendicular lines are commonly found in roads and streets. Although this does not show that Amsterdam Ave and 79th street necessarily intersect at a right angle, it shows the difference between parallel and intersecting lines. Parallel and perpendicular lines are all around us, specifically in high culture. Parallel and perpendicular lines can be found in architecture. Many buildings have features that contain parallel and perpendicular lines. Most windows have parallel and perpendicular lines. Skyscrapers such as the New York Times Building, churches, schools, hospitals are all examples of some buildings that contain parallel and perpendicular lines. Parallel and perpendicular lines are also found in knitting, crocheting, and quilting patterns. Crochet scarfs can be made with parallel line patterns. Quilting is a technique which requires attention to detail and knowing the terms parallel and perpendicular can help speed up the quilting process. In addition, parallel and perpendicular lines can be found in art paintings. There are many paintings in the Dallas Museum of Art that contain parallel and perpendicular lines. An example is the painting Ocean Park No.29 done by American painter Richard Diebenkorn (1922-1993). This student submission comes from my former student Emma Sivado. Her topic, from Geometry: deriving the Pythagorean Theorem. What if I told you that knowing the Pythagorean Theorem could help you become a millionaire? We’re all familiar with the popular game show “Who Wants to be a Millionaire” so let me take you back to 2007 when Ryan was playing for $16,000. The question asks “which of these square numbers is the sum of two smaller square numbers.” We see the sweat immediately begin to accumulate on his brow as he struggles to find the right answer. He quickly goes to his life lines and asks the audience. The majority say the answer is 16. Ryan contemplates for a minute before going with the audience and selecting 16. Disappointment follows as we discover this is the wrong answer and Meredith explains that the answer is 25 or 42+32=52. How can this topic be used in your student’s future courses in mathematics or science? 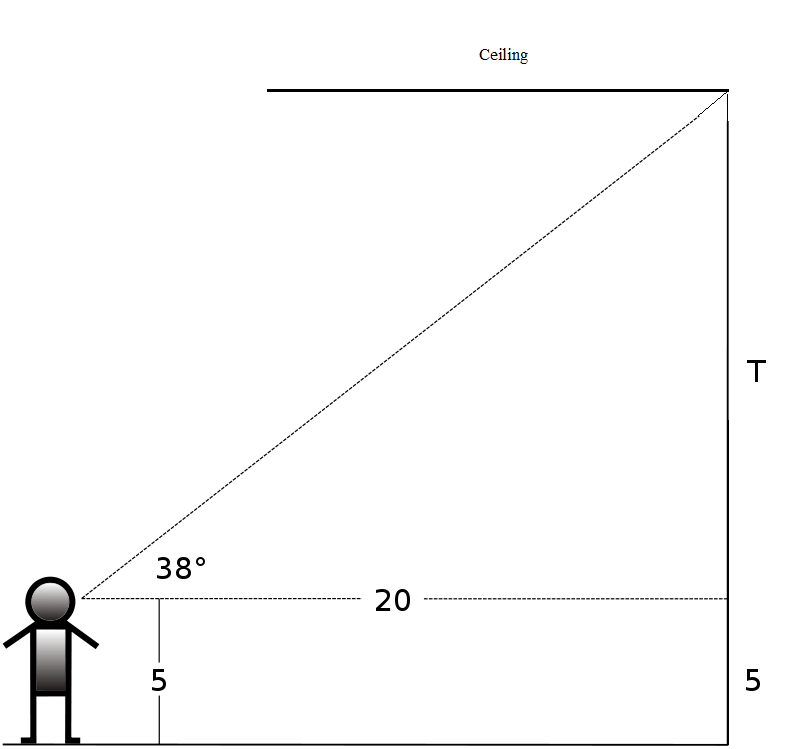 The Pythagorean Theorem is first taught in Geometry, according to the TEKS, and is expected to be defined, proved, and executed by these students. However, many people say that the Pythagorean Theorem is the basis of trigonometry, which is studied in depth in the student’s pre-calculus course. Beyond pre-calculus applications, the Pythagorean Theorem is used in physics to calculate kinetic energy, in computer science to compute processing time, and in social media to prove Metcalfe’s Law. Beyond math and science, the theorem is used in architecture and construction to determine distances, heights, and angles, in video games to draw in 3-D, and in triangulation to locate cell phone signals.